When spinning, you can go from raw, unwashed wool. Which can be found by people who keep sheep. The wool that I offer is already washed, carded and combed. Furthermore I have camel, flax, ramie tow and bourette side. 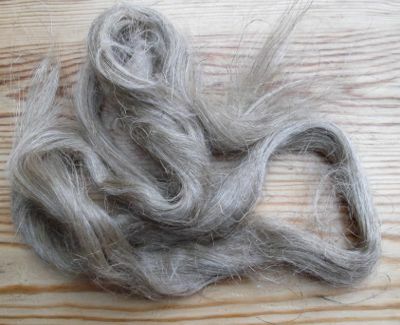 The ecru Dutch wool sliver originates from the Texel sheep. 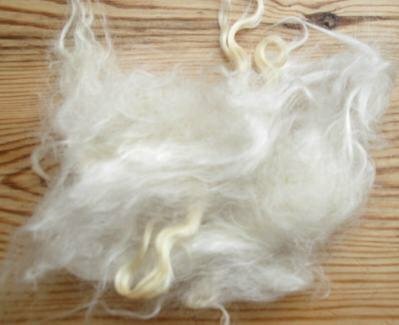 The other undyed colors are made by mixing the hairs of different types of Dutch sheep. 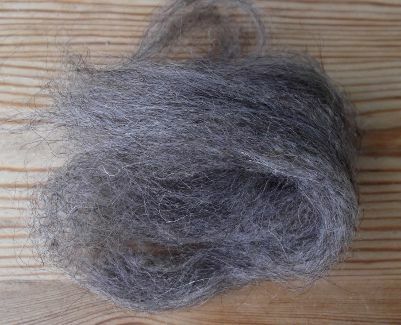 Dutch wool is rough (36µ) and the hairs are long. The wool is washed with potash, a mineral found in the Sahara desert, and then carded into a sliver with the width of a wrist. 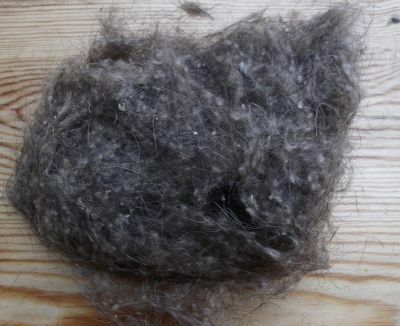 Dutch wool is not suitable for felting because it is a rough type of wool with little scales. 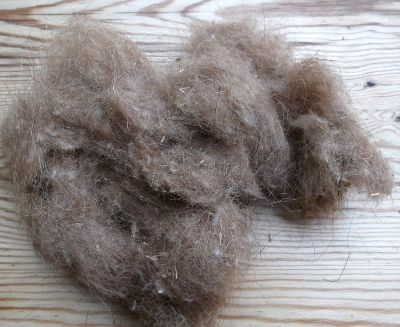 It is used mainly for needle felting, spinning yarn for clothing and to fill up the limbs of puppets. The Merino sliver comes from the famous Merino sheep that live in South America, South Africa and Australia. Their wool is very suitable for felting, because it is a very fine type of wool with a lot of scales. We have a fine quality (27,5µ) in ecru. Wool for this extra fine quality originates mainly from Australia. All Merino wool is washed and carded into a sliver with the width of a wrist. 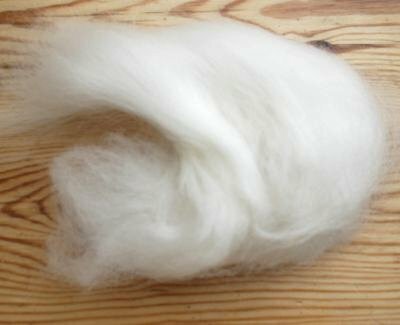 Mohair is made from the wool of the Angora goat which originates from the area of the Turkish city Angora. 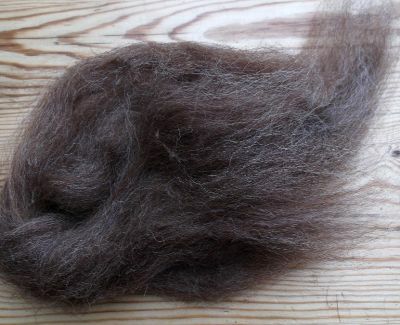 Washed Mohair is soft and glossy and has a lot of curls. This makes the wool beloved to add glossy details and 3D effects to Woolfelt. 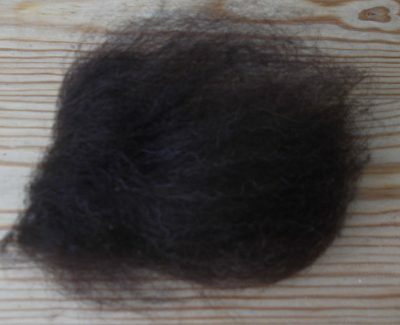 Camel hair is used mainly to spin. Camels are not shaved but plucked when they are moulting. The hairs are from North Africa and are washed and then carded. Flax fibers are the bast fibers of the flax plant, which is also grown in Flanders and the Netherlands. Flax was extensively cultivated in ancient Egypt, where the temple walls had paintings of flowering flax and mummies were entombed in linen. Egyptian priests only wore linen, as flax was considered a symbol of purity. Flanders became the major center of the linen industry in the European Middle Ages. The textiles made from flax are known in the West as linen, and traditionally used for bed sheets, underclothes and table linen. Ramie fibre, also known as China grass is made from the bast fibers of the ramie plant, which has been cultivated in eastern Asia for fibre since prehistoric times. Ramie fabric was used in ancient Egypt and was known in Europe during the Middle Ages. 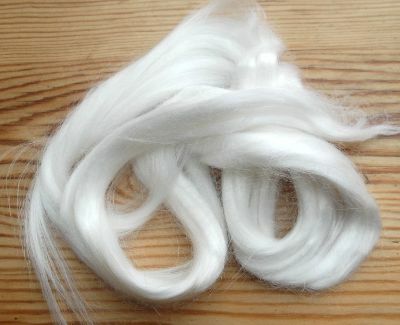 Ramie sliver is suitable for spinning, it is white and lustrous and looks like silk. The Bourette silk fibers are from France. 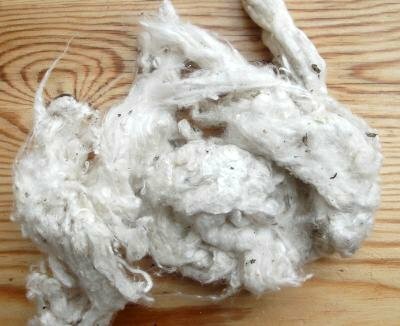 These carded fibers are made from the waste of the silk industry. 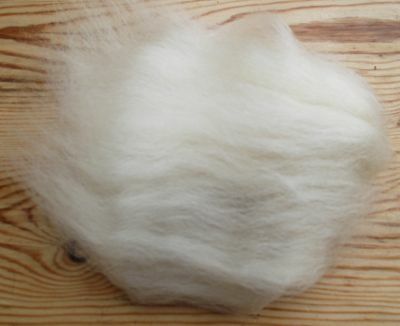 The fibers are used for spinning and felting.